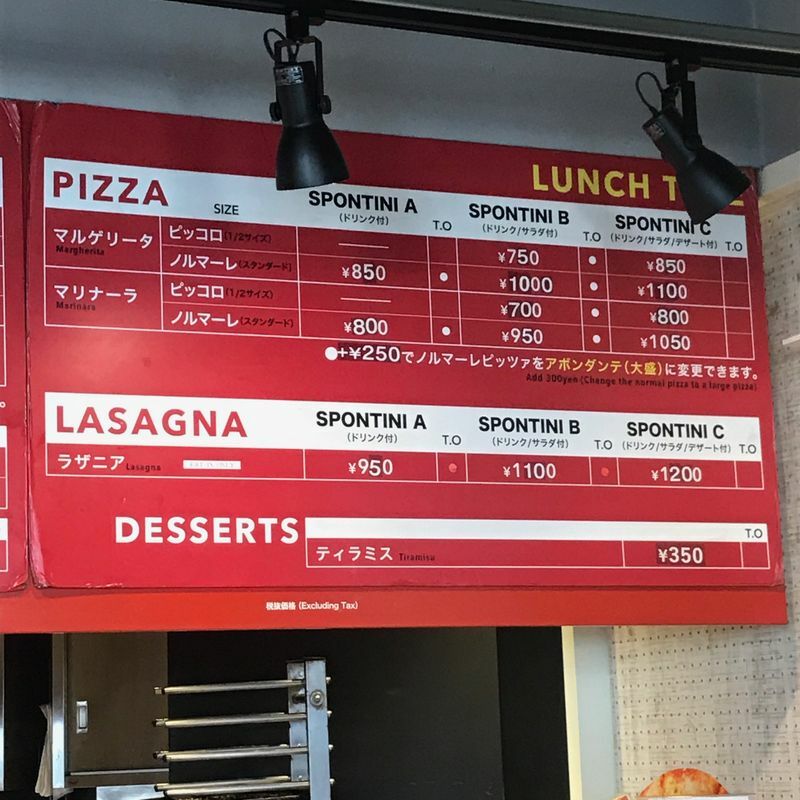 I had just about given up hope on the pizza game in Japan. I had tried all the big names and most had left me disappointed. 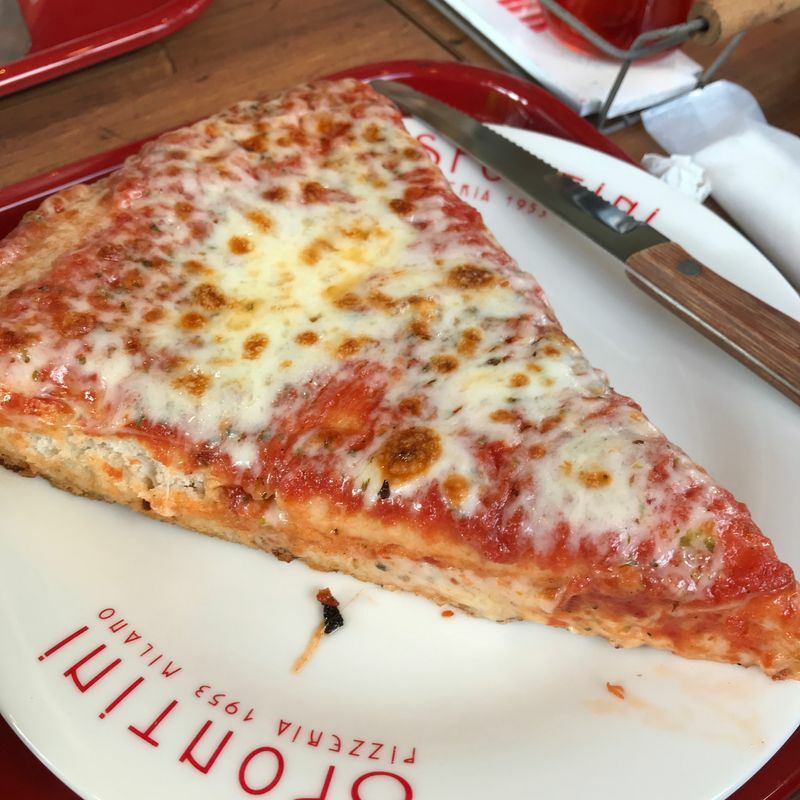 Someone suggested Spontini to me, but I always brushed it off. One day, I was in Harajuku and decided why not. I had a bit of trouble finding it, but I cut through a weird back road to get there. Perhaps going from the main street would be smarter. It's located on the second floor, so you have to climb a flight of stairs in order to find it. Again, I think I went the wrong way because, in addition to climbing stairs, I also had to cut through a restaurant seating area. The menu was straightforward, with little frills. 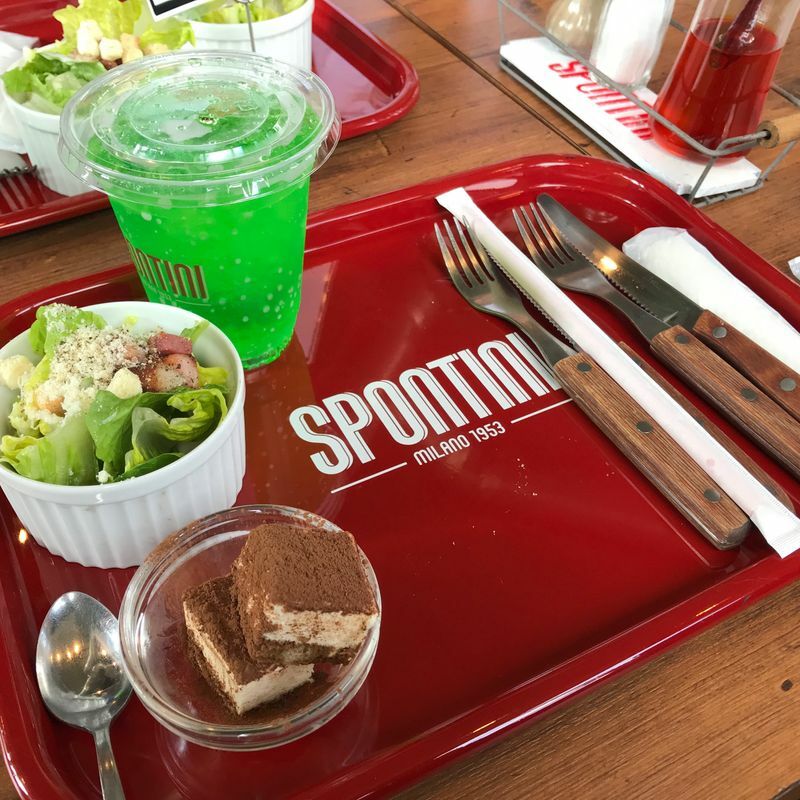 During lunch hours, they offer a set with a dessert and salad. They only have two base types of pizza, but you can add more toppings. I saw some of the toppings and I wouldn't recommend them. They look weird! The standard cheese was a good choice though. Unfortunately, we were the last of a rush, so our slices weren't amazing. I was eyeing the people who came in around 10 minutes later who got fresh pizza, and their slices looked super cheesy and delicious! I guess it's luck of the draw. The salad and tiramisu were both delicious as well. 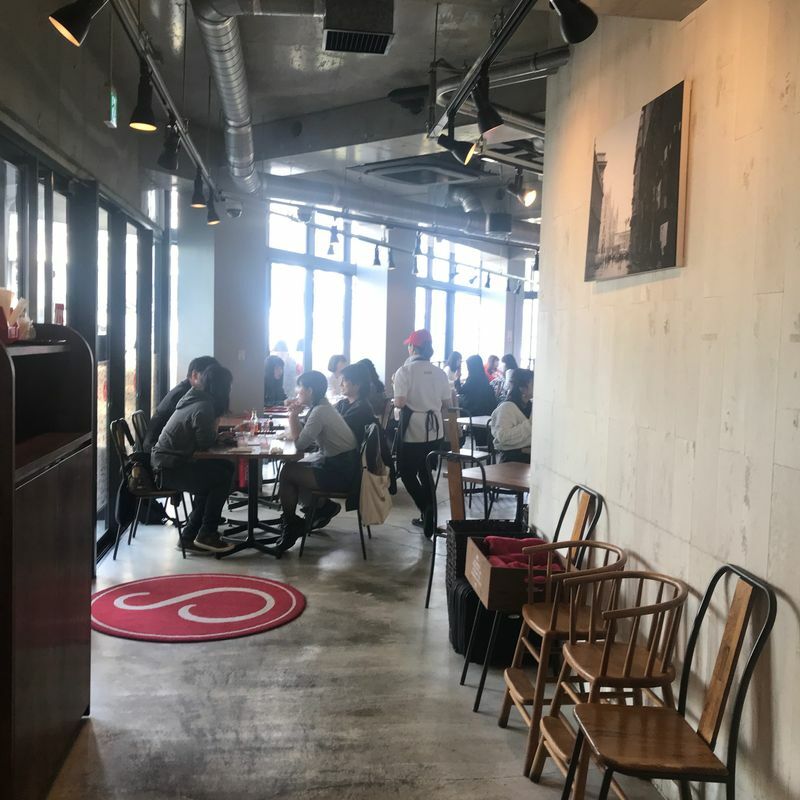 The staff here is really nice and there's a bunch of seating. 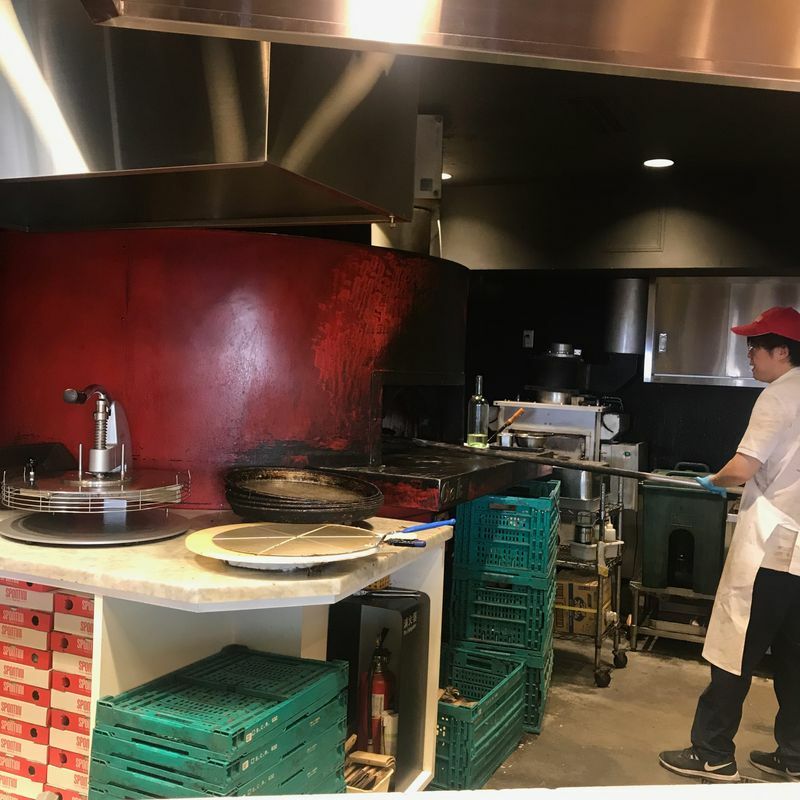 I recommend coming here if you have a pizza craving that can't be filled (and you like pan pizza). Especially during lunch time, you can get a good deal on a filling meal!